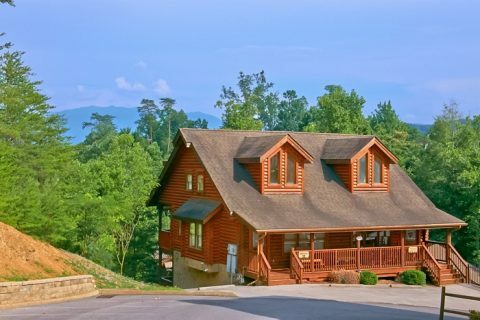 "A Tennessee Twilight," a uniquely decorated Big Bear Resort cabin, provides visitors with a cabin near Gatlinburg just minutes from all the action! 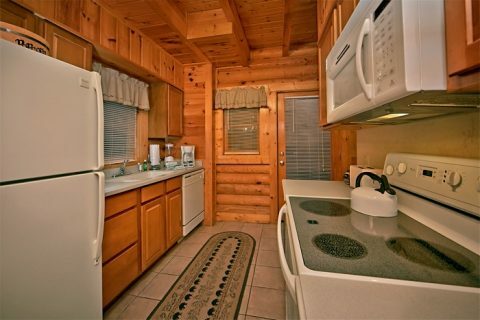 Guests enter this resort cabin near Gatlinburg on the warm, inviting main level. 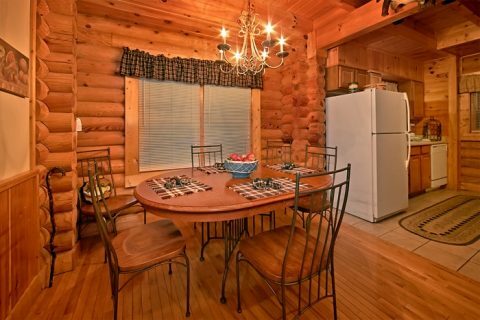 Here, they find a cozy living area with sleeper sofa, flat screen TV, and a seasonal gas fireplace as well as a full kitchen with everything needed for the cook of the group to serve meals in the dining nook. 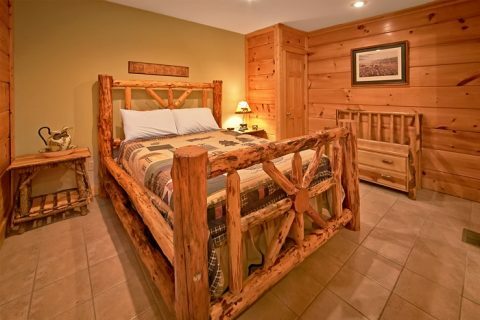 Upstairs, this cabin near Gatlinburg features a master bedroom with an expansive king-sized bed and an oversized jacuzzi tub for relaxing evenings in the mountains. 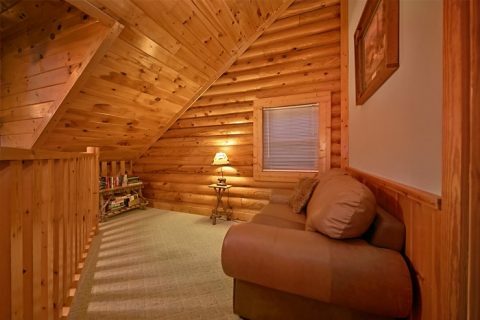 The lower level of your cabin provides a separate space that is almost a self-contained unit. 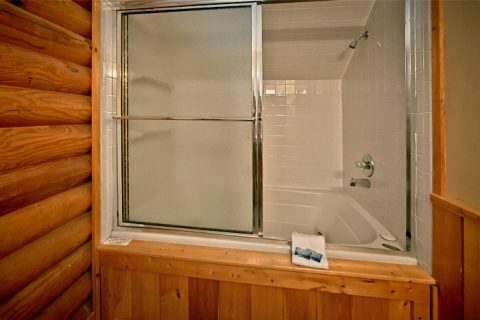 Accessible from a private entry, this level features a queen bed, a queen sleeper sofa, a full bath with oversized jacuzzi, and a kitchenette. 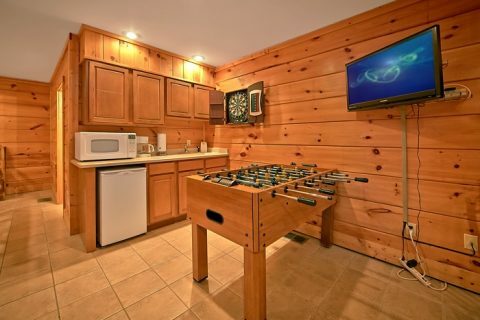 Additionally, this cabin near Gatlinburg features a game room with an electronic dartboard and foosball table for plenty of entertainment. 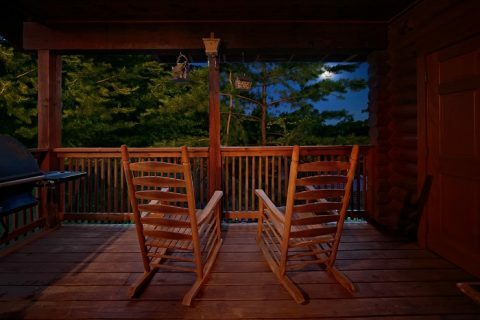 "A Tennessee Twilight" offers plenty of opportunities to relax in the great outdoors as well. 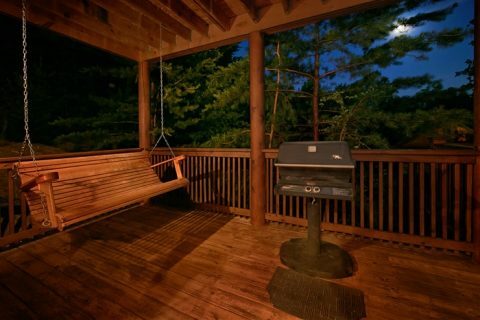 Whether you choose to host a cookout on the grill or relax and watch the sunset, the cabin's deck gives you plenty of space to enjoy the crisp, mountain air. This resort cabin near Gatlinburg provides guests with a swimming pool during warmer months! 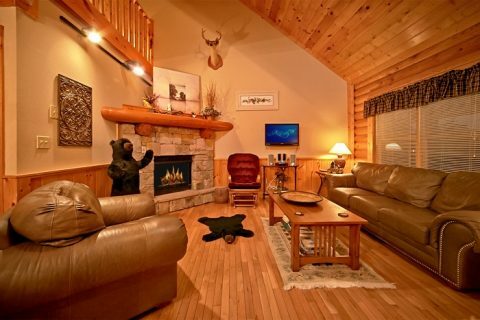 However, you can enjoy swimming all year at this Smoky Mountain cabin with indoor pool access, making this Big Bear Resort cabin rental a perfect lodging no matter the season! 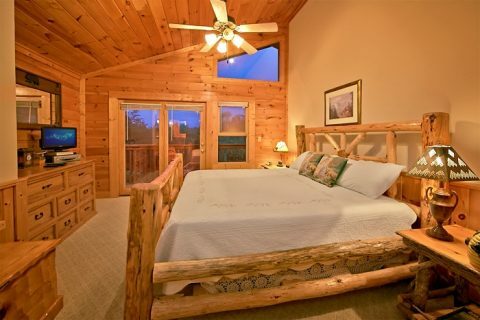 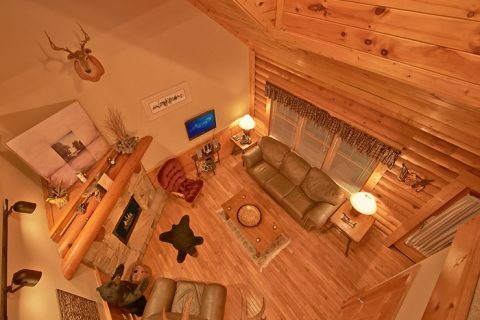 Choose "A Tennessee Twilight," your spectacular Big Bear Resort cabin, for a vacation stay in the Smokies to remember!